Brewing according to tradition and old recipes, complimented by knowledge and experience obtained from past decades, are still the biggest assets in the brewing process of Brouwerij Sterkens. Moreover, we serve top quality in an original and unique packaging. Our beers are being manufactured into traditional, ceramic jars made out of stone. 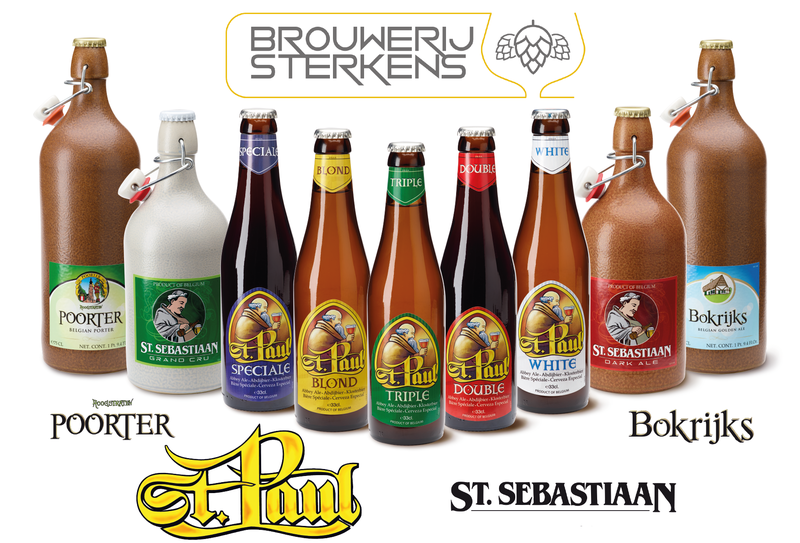 Our Hoogstraten Poorter, Bokrijks, St. Paul and St. Sebastiaan beers are being tastefully appreciated worldwide. Check our catalogue to see more information about our abbey beers. Do you need more information about our products or are you working in retail or in the hotel-catering industry and are you interested in our beers? Or are you interested in import or export possibilities regarding our beers? Feel free to contact us. We’ll answer all your questions with pleasure. Thanks to our many years of experience, we can make you the best offer there is. Brouwerij Sterkens is constantly looking for new markets, distributors or importers too.